Mayor Andre Sayegh’s administration secured approval for a $39.83 million temporary budget, fourth since the start of the fiscal year in July, to keep the government running through the end of February. Council members approved the temporary budget without opposition last week. With more than half of the fiscal year gone without a budget, some worried the administration is moving towards an inevitable property tax increase over the two-percent cap. “When can we anticipate a budget will be presented to us for adoption?” asked councilman at-large Flavio Rivera. Finance director Marge Cherone replied a final budget will be presented to the City Council in mid or late March. The fiscal year started on Jul. 1, 2018. The city will have spent $192.14 million at the end of February 2019, according to municipal records. Cherone said this represents 66-percent of last fiscal year’s budget. Municipal officials often blame the state for delayed budget adoption. The city received $25 million in transitional aid in the 2017-18 fiscal year. Sayegh sought $40 million in state aid for 2018-19 fiscal year. The state has indicated it will provide $33 million. But it is requiring the city to fully switch to the state health insurance plan and move to a sewer utility. Some council members expressed concerns switching to a sewer utility will raise fees on property owners. The state will withhold $2 million if the city failed to move to a sewer utility. Rivera worried the state is requiring the switch to a sewer utility in a tight time window. “Are we expecting layoffs?” asked Luis Velez, 5th Ward councilman. “A potential layoff is on the table,” replied Cherone. A layoff will produce little revenue this late into the fiscal year leading to worries a big tax increase is imminent. 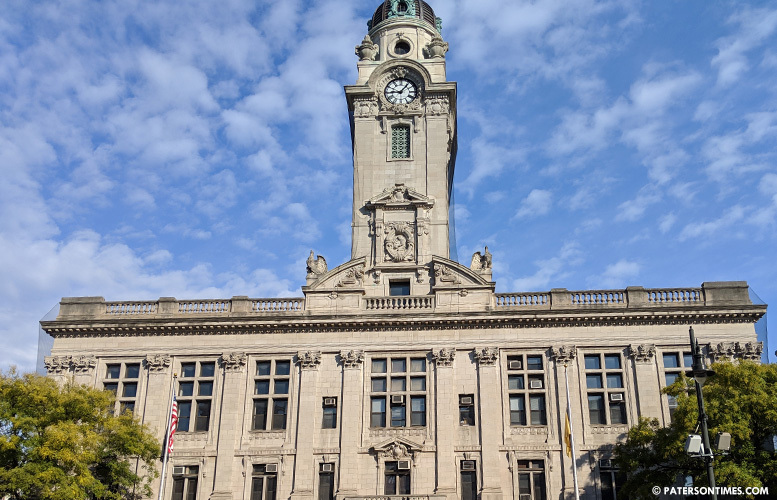 The mayor wanted employees to sign up for a two-week pay deferral to avoid layoffs, but the police union balked at the move. The Sayegh administration undermined its own effort by hiring new employees while asking existing workers to give up two weeks of pay. The city has to fill a $6 million budget shortfall, according to Cherone. What a bunch of crap!!! The Mayor screwed us on the perception plan. I hope you burn in hell dirtbag!!!! Take the lay-off off the table. There is other area where revenue can be generate in this city. Maybe the city need to get an audit to see where the money is going. Every year there is a tax increase. Tax payer paid more while our quality of life is eroded.